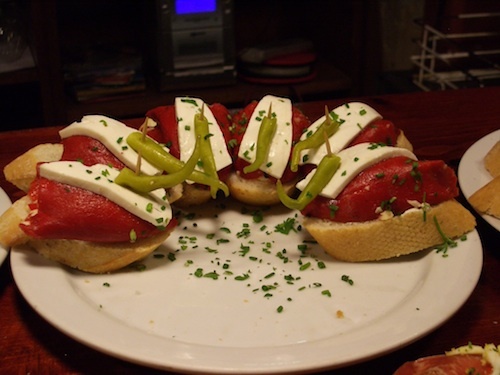 The Basque Country Spain (and France) is an ideal place to spend a three-day weekend if you like good food and wine, and want to explore the delights of San Sebastian. Here is the itinerary I followed, with recommended hotels, restaurants and wineries. Fly into Biarritz Airport (small and efficient) and drive to Saint Jean de Luz (30 minutes). I went to Saint Jean de Luz, a small town south of Biarritz on the coast of France, close to the border with Spain. Saint Jean de Luz has the atmosphere of an old port city with narrow streets, a long wide sandy beach and quaint restaurants. Enjoy the fine weather on one of the public squares lined with cafes, restaurants and ice cream parlours or sunbathe on the beach. Because it is a popular holiday destination, going to Saint Jean de Luz (and the coastal region in general) in August is a terrible idea. Where to stay: L’Auberge Basque is a lovely hotel and gastronomic in the hills located 7 kilometres from Saint Jean de Luz. I wrote a review of L’Auberge Basque and would stay there again if I were to come back to the region. From Saint Jean de Luz, I drove to Villabuena de Alava, a town nestled deep in the valleys of the Rioja region in Spain, a journey that took approximately 2 hours. The hotel I stayed in, Hotel Viura, is one of the most memorable I’ve ever visited. The building consists of a set of super-imposed cubes dropped in the heart of the old village and surprisingly, it works. The ancient stone walls of the adjacent church and the houses around it, cocoon this architectural marvel in a warm embrace. Make sure you have dinner at the restaurant of Hotel Viura; they serve delicious modern Basque cuisine. 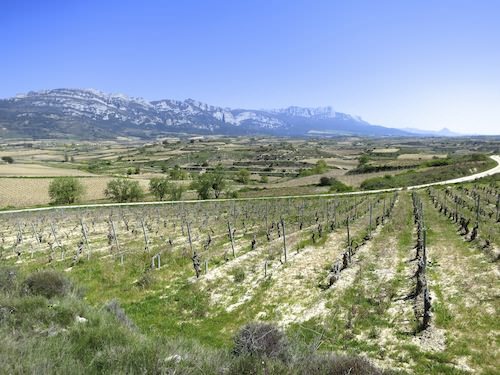 The Rioja region in the spring is sunny and warm (not as hot as in the summer), so walking around the vineyards is a true pleasure. Outside the busy tourist season, it is tranquil and relaxing. Visit the Baigorri Winery just outside Villabuena de Alava, across the road from Samaniego, the next village. It takes about 40 minutes to walk from Hotel Viura to the winery. Baigorri’s ultra-modern winery rises like a glass spaceship above the vineyards and inside you will find stainless steel vats laid out in a concrete bunker that resembles a spaceship’s docking station. Book a tasting lunch and a tour of the winery. I wasn’t terribly impressed by the Baigorri wines: I found the reds a bit too harsh and fruity but the food was excellent. Other wineries worth visiting because their wine is just so good: Valenciso in Ollauri and Bodega Remirez de Ganuza in Samaniego. I explored San Sebastian on the third day and made sure I ate in one of the pintxo (pincho) bars located in the narrow streets of the old city. There are dozens of pincho bars and choosing one is difficult. 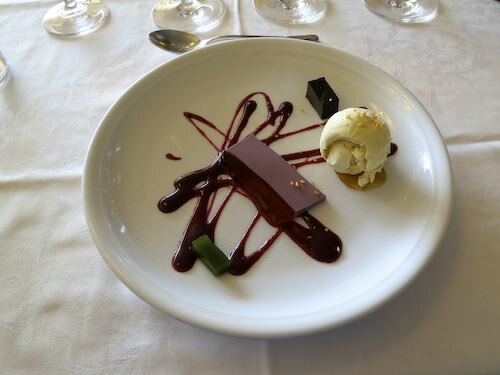 The food is absolutely marvelous and beautifully presented. 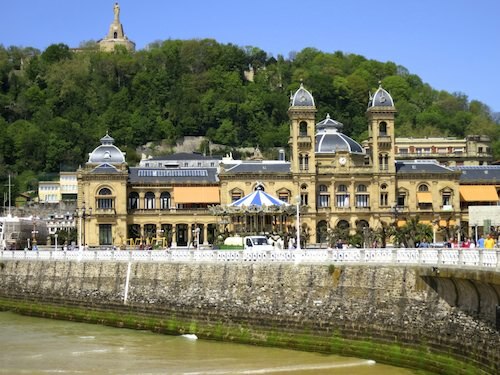 San Sebastian is a walkable city and the long wide sandy beaches make it popular for holidays. I did not stay in San Sebastian. I stayed in a small hotel called Saiaz Getaria in the village of Getaria, 45 minutes by car from San Sebastian. Saiaz Getaria is a 3-star hotel with a few rooms overlooking the ocean. When you book, ask for a room with ocean view — it’s only a few more Euros than the ones without a view. I stayed in Getaria because I wanted to have dinner at Elkano, a restaurant that specializes in seafood and is considered to be one of the 10 best restaurants in the world. I can say that I’ve never had better anchovies than at Elkano. Read Nicholas Lander’s review of Elkano in the Financial Times. Getaria lies on a rocky promontory between a small beach and the port. Walk along the beach and the harbour, enjoy a drink on the terrace by the water. Driving back to Biarritz airport from Getaria is easy and takes about 50 minutes without traffic. As I mentioned earlier, Biarritz airport is small, so returning your car and arriving at the gate is a breeze.